This is why we love water! Water is Life. From gentle rains to salty waves, without water and its strange qualities, there would be no life on this planet. If water behaved like every other liquid and froze from the bottom up, Earth’s earliest life forms would have been frozen solid instead of insulated by floating sea ice. Water particles are so strongly attracted to themselves that they can defy gravity through capillary action. Plants depend on this quality to pull ground water up through their roots and to their green shoots and leaves. On this International Water Day, we at Float Therapies want to share with you the wonders of water! Water has several intrinsic properties which our therapists utilize to construct gentle, successful, and liberating therapeutic sessions. Our therapists act as guides, expertly leading our clients through restorative exercises and allow water to act as the main therapist. The following properties of water simultaneously challenge and support the client’s body, building muscle strength with resistance while reducing the strain on your joints and tendons. Flotation is the key feature in our KinAqua Flow® therapy. 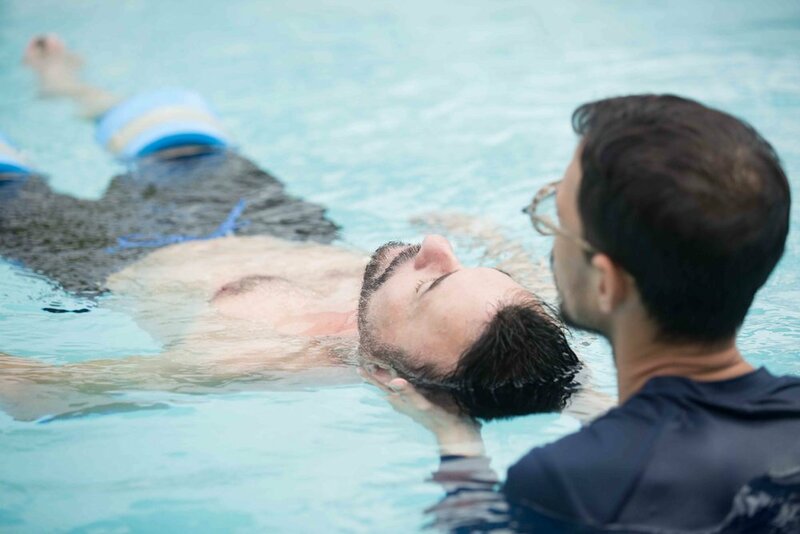 To provide comfortable and effective flotation, we measure each client’s individual buoyancy. In water, we do not experience gravity, only the density of our body displacing water. This allows us to administer therapeutic stretches and postures to a multi-dimensional body, one capable of moving in any direction. In assisted flotation, our bodies behave as one unified mass, and this allows deep tissue release and muscle relaxation that cannot be achieved on land. The benefits of flotation include: up to a 90% reduction of body weight impact on muscles, joints, tendons, and ligaments and the elimination of the feeling of excess weight and gravity reducing the sensation of pain. Flotation would not be possible without the surface tension force of water. This is due to the polarity and slight charge between particles of water. Because water likes to stick together, there is a tension created at the surface between the air particles above and the water particles below. This tension allows our therapists to hold the body in a state of absolute rest and this surface as an accessible platform for therapeutic exercises. This table-less approach is excellent for clients with little or painful neck mobility as well as clients with hypotonic muscle development. 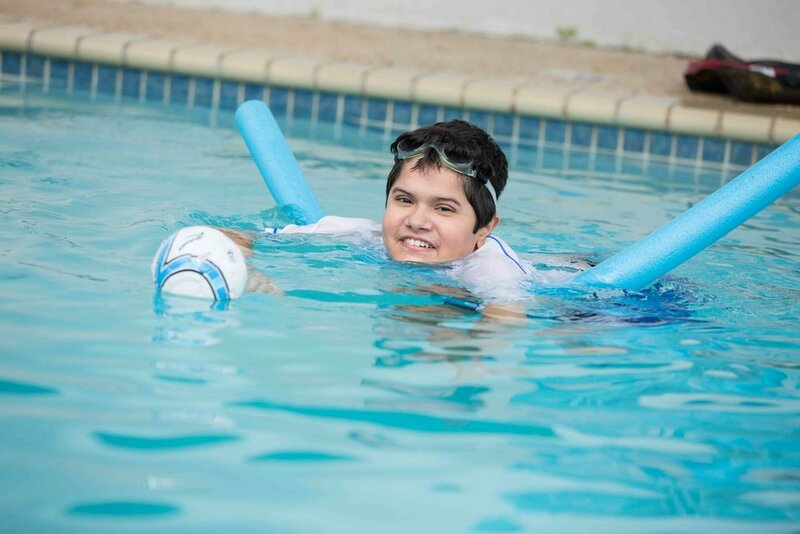 Water’s shapeless support benefits patients with spinal trauma, scoliosis, kyphosis or any other condition aggravated by resting on a rigid, flat surface. Water has an uncommonly high specific heat, meaning that it requires a lot of energy to increase its temperature and it takes a long time to cool relative to our surrounding air. Because of this, water plays an important part of our internal temperature regulation. Many people know the healing powers of a hot bath or a long shower, and at Float we heat our therapeutic pools accordingly. Being immersed in water near our body temperature can aid in relaxation, the distention and release of spasmodic muscle tissue, a reduction in inflammation and increased mobility in joints. Healing warm water can help regulate the communication of our central nervous system and relieve physical pain all while providing psychological comfort and a sense of security innate since our mother’s womb. When we wave our hand through air or water, we push molecules towards each other and they create resistance. Air being a gas, the molecules are spread out and have plenty of room to expand into before having to push back in reaction to our motion. The molecules in water are more tightly packed and this creates greater tension in the form of drag. Walking in water often feels like slow motion because each movement pushes more molecules than we are used to when moving through air. At Float, our practitioners use this resistance to assist in gentle spinal alignment, from the head and neck all the way down to the sacrum. This resistance contracts and releases muscles in a way that is organic and supported, water’s viscosity prohibits the rapid or jerky rotation that can damage the spine. Our therapists utilize slower motions with greater resistance, all thanks to water’s viscosity. There are forces acting upon us all of the time. Most of us can recall a memorable or persistent awareness of gravity, but seldom think that the air around us creates pressure on our skin and internal systems. This can be easier to see when we are immersed in water, especially when diving deeper than 8 feet down. Hydrostatic force, the pressure of any fluid in a confined space, works inside of our bodies to deliver blood from our arteries to our body’s tissue. As our lungs expand our chest cavities against the increased pressure the water provides, our respiratory system faces resistance and increases lung capacity over time. Meanwhile, the external pressure reduces the strain on our cardiovascular system, enabling us to vigorously challenge our bodies while offsetting our internal blood pressure. Aquatic therapists use this property of water to reduce the swelling of joints in clients who face limited land-based mobility. As you can see, water is a unique gift and therapeutic tool our highly trained specialists use to tailor your conditioning and recovery. We at Float are thankful for power and life that water holds and shares with us. What do you think? How do you show your gratitude towards water?Let us know in the comments below! We hope you join our Float Water Therapy Community! Don’t forget to subscribe to our newsletter. We send content related to our modalities, classes, and events every month!